Take your Tennessee criminal charge seriously. A conviction for a crime in Tennessee can have long lasting consequences. A criminal record can affect your employment, your future, and your personal freedom, even if it only includes one misdemeanor. 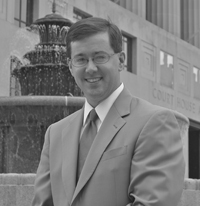 Hire an experienced Tennessee defense attorney. I can answer any questions you might have about defending your Tennessee criminal case. Check out the "Common Questions" section for detailed information on Tennessee criminal laws and procedures. Set up a free initial consultation now. Call now at (615) 519-1174. You can also simply click on the "Contact Us" section above and send me an email. I offer a free initial consultation concerning your Tennessee criminal case. Your inquiry will be kept confidential.